blogger is eating my comments!! You do prefer the rear entry. I'm surprised you shared that fact with the bloggy-world. 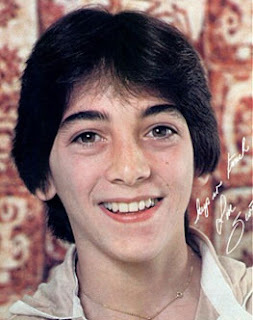 Oh, were you talking about Scott Baio? I love the closing line of the song... Really quite beautiful. Pretty good Slyde. Pretty Good. Now come over to my blog because I just posted the funniest video of ALL TIME. I'm laughing at what Earl said. OK... that was funny... and BORDERLINE grubby.... and totally YOU. Ah Slyde, good one. I just put up a post about breasts? pop on over Can I count on you to comment? Very funny.Baio's face when he realizes what the guy is singing about is priceless. Thank you for sharing this. I will probably be laughing for the next 2 weeks. Sick and wrong, LOL. Sick and wrong. But I couldn't bring myself to stop watching! Ooh I don't know if I can watch that. One of the joys of not having tv anymore is not having to see child stars after the cute's worn off. I kind of like that. Hilarious but why was Scott Baio there?